Evolution can happen quickly, even in decades, says UO biologist Bill Cresko. That conclusion is based on the case of threespine stickleback, a tiny fish species native to seawater. 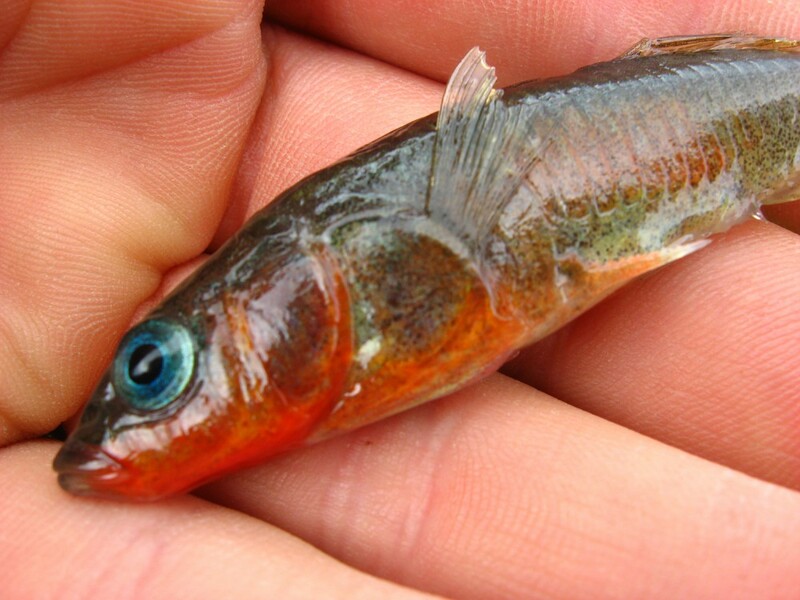 In less than 50 years after the 1964 Alaskan earthquake, populations of seawater stickleback — left isolated by geological uplift in freshwater ponds on islands in the Gulf of Alaska — adapted both their genetic makeup and external physical traits to survive. The discovery, done in collaboration of Cresko's UO team and University of Alaska scientists, is detailed in a paper appearing in the online early edition of the Proceedings of the National Academy of Sciences. The stranded fish, Cresko said, experienced changes in both their genes and visible external traits such as eyes, shape, color, bone size and body armor in their adaptation to fresh water. The findings are important for understanding the potential impacts of sudden environmental change on organisms in nature, he said. 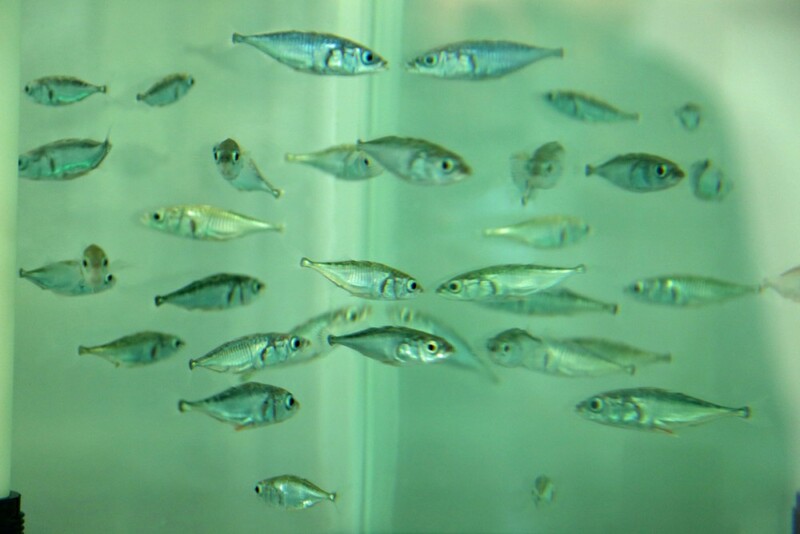 "We've now moved the timescale of the evolution of stickleback fish to decades, and it may even be sooner than that," said Cresko, who also is the UO's associate vice president for research. "In some of the populations that we studied we found evidence of changes in fewer than even 10 years. For the field, it indicates that evolutionary change can happen quickly, and this likely has been happening with other organisms as well." Survival in a new environment is not new for stickleback, a small silver-colored fish found throughout the Northern Hemisphere. A Cresko-led team, using a rapid genome-sequencing technology (RAD-seq) created at the UO with collaborator Eric Johnson, showed in a 2010 paper how stickleback had evolved genetically to survive in fresh water after glaciers receded 13,000 years ago. For the new study, researchers asked how rapidly such adaptation could happen. For the National Science Foundation-funded project, stickleback collected by University of Alaska researchers from freshwater ponds on some of the islands were transported to Cresko's lab in the UO Institute of Ecology and Evolution. The fish were studied using the same RAD-seq technology. The genetic changes identified in the project were similar to those found in the earlier study, but they had occurred in less than 50 years in multiple, separate stickleback populations. Stickleback, the researchers concluded in the new paper, have evolved as a species over the long haul with regions of their genomes alternatively honed for either freshwater or marine life. "This research perhaps opens a window on how climate change could affect all kinds of species," said Susan L. Bassham, a senior research associate in Cresko's lab who also was co-author of the 2010 paper. "What we've shown here is that organisms — even vertebrates, with long generation times — can respond very fast to environmental change. "And this is not just a plastic change, like becoming tan in the sun; the genome itself is being rapidly reshaped," she said. "Stickleback fish can adapt on this time scale because the species as a whole has evolved, over millions of years, a genetic bag of tricks for invading and surviving in new freshwater habitats. This hidden genetic diversity is always waiting for its chance, in the sea." The 2010 study appeared in the PLOS Genetics. Earlier this year the journal named the paper as among its Top 10 articles published in its first decade. The study also was detailed in a UO news release.